Yesterday afternoon, I had a couple of errands to run in the mall. I stopped in Yankee Candle to see if there was any new fragrances, specifically with green candles, and bought a new one called Meadow Showers. It smelled really nice in the store, but once I got it home and took off the wrapping, it took over the house. 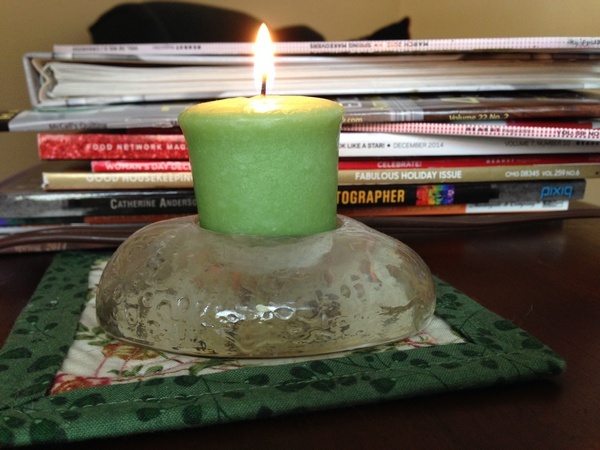 I lit it and set it on the end table in the living room next to where I was sitting and stitching a binding on a quilt. After a very brief time, I had to blow it out. I put it in the kitchen, unlit, and it still smells up the whole downstairs. It’s a pleasant fragrance, but too strong. 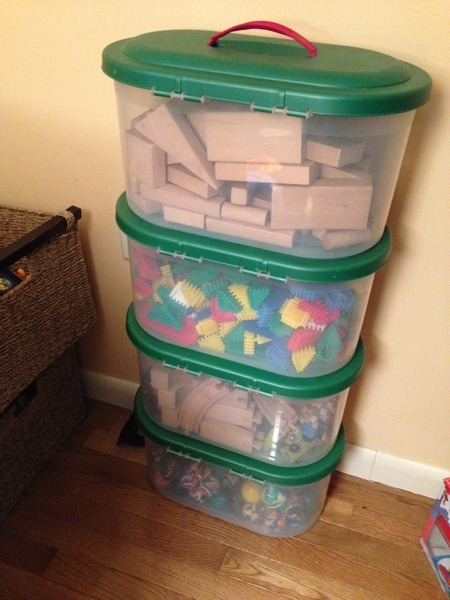 The second picture is the toy containers in the living room. I never noticed the green tops until I was hunting green.